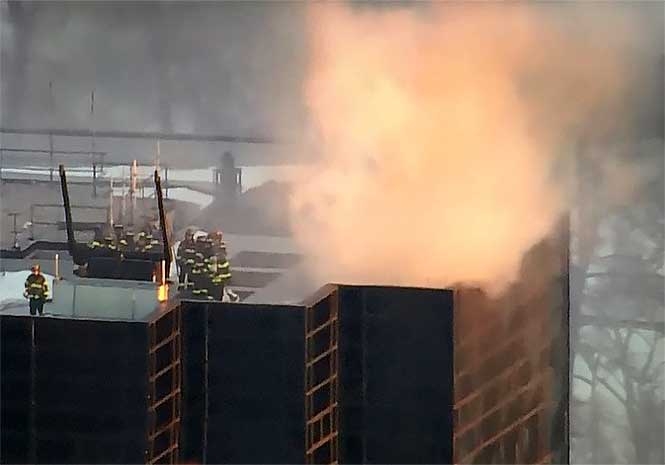 THE New York Fire Department has said one person had sustained potentially life-threatening injuries after a fire at the Trump Tower in the city. Twenty-six engines and 84 firefighters attended the blaze a the top of the 58 storey-building. The building which houses apartments and office space had been Donald Trump’s primary residence before he became President of the United States.